Sunday at the Village Vanguard was recorded live on June 25, 1961 at the Village Vanguard in New York City over five recorded sessions (2 matinee and 3 soiree). It is well remembered as the final performance by the Evans trio of the time, which included bassist Scott LaFaro and drummer Paul Motian. LaFaro was killed in a car accident ten days after the recording. Evans and producer Orrin Keepnews reportedly selected the tracks for Sunday at the Village Vanguard to best feature LaFaro’s masterly performance on bass, beginning and ending with two tracks (“Gloria’s Step” and “Jade Visions”) written by LaFaro himself, and with all the others featuring solos by him. This album is routinely ranked as one of the best live jazz recordings of all time. Additional material from the same day’s performance was released in a second album Waltz for Debby (also 1961), as was other material in another LP Bill Evans – More From the Vanguard. The entire day’s recordings were released in 2005 as The Complete Village Vanguard Recordings, 1961. 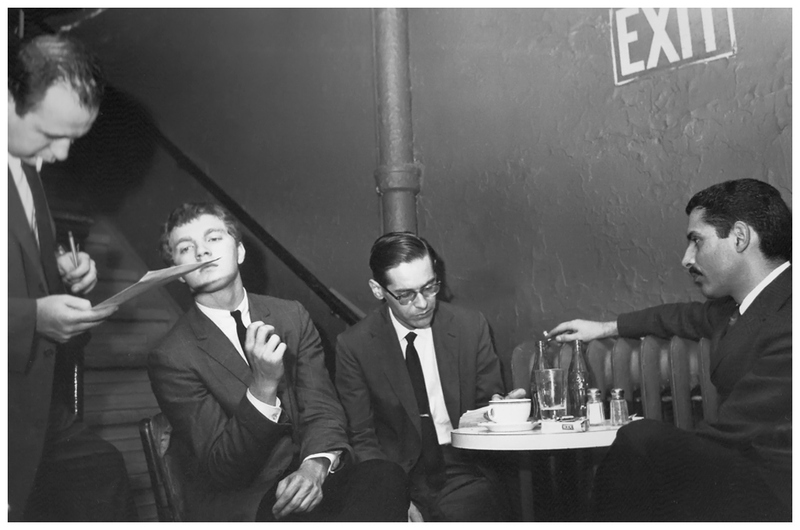 (above) Bill Evans Trio, Village Vanguard, c.1961, photographs by Steve Schapiro. 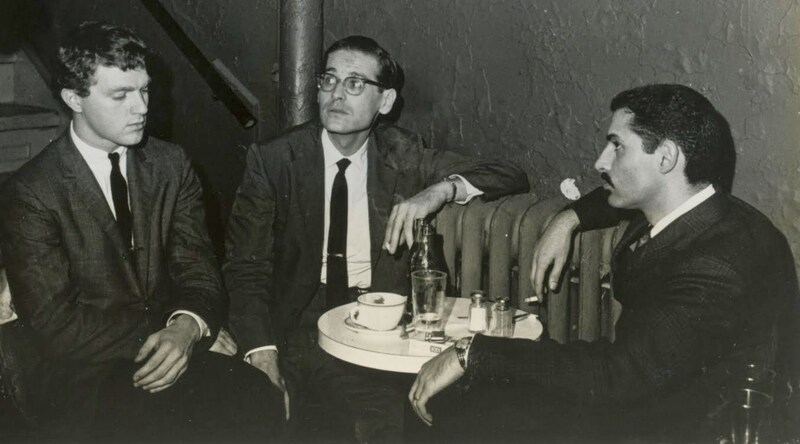 The bottom photo appears on the back of the Sunday at the Village Vanguard album sleeve with the caption “The trio, between sets, in the back room at the Vanguard.” The presence of Orrin Keepnews, with an ever-present cigarette tucked in the corner of his mouth, in two photos suggests that the photographs may have been taken on or about Sunday, 25 June 1961, the day of the recording. 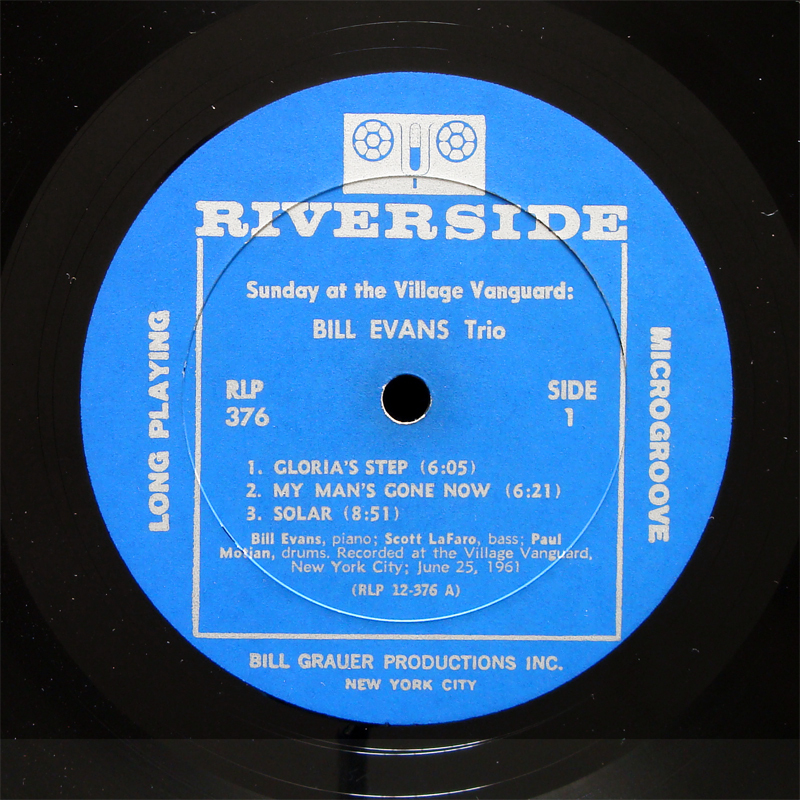 Bill Evans’ 1961 Riverside recording “Sunday At The Village Vanguard,” featured in the 19th chapter of “Orrin Keepnews, Producer.” This episode features the famed Jazz producer’s memories of Bill Evans’ 1961 Riverside Records recording. 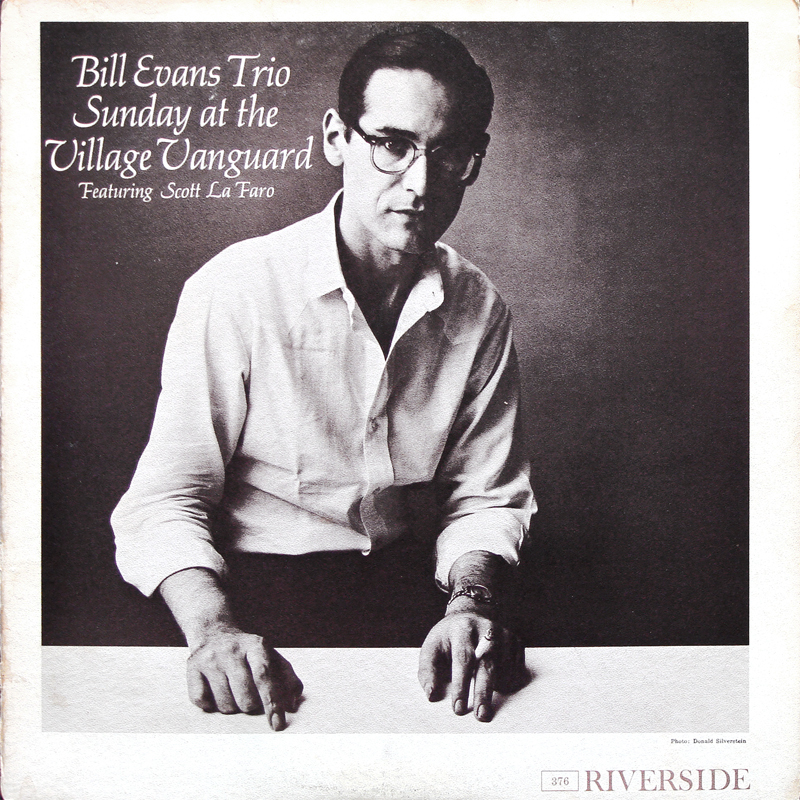 In the video, Sunday at the Village Vanguard producer Orrin Keepnews talks about the members of the first Bill Evans Trio and recounts the planning and recording of the album. 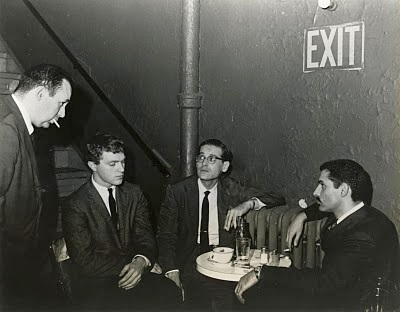 Topics touched upon include the challenge of producing records “way back in the primitive days,” the special rapport between Bill Evans and Scott LaFaro, the producer’s suspicion (immediately prior to the project) that the trio might not last much longer, as Evans and LaFaro had begun to “pick at each other,” and the effect of Scott LaFaro’s death, soon after the recording date, upon Bill Evans. 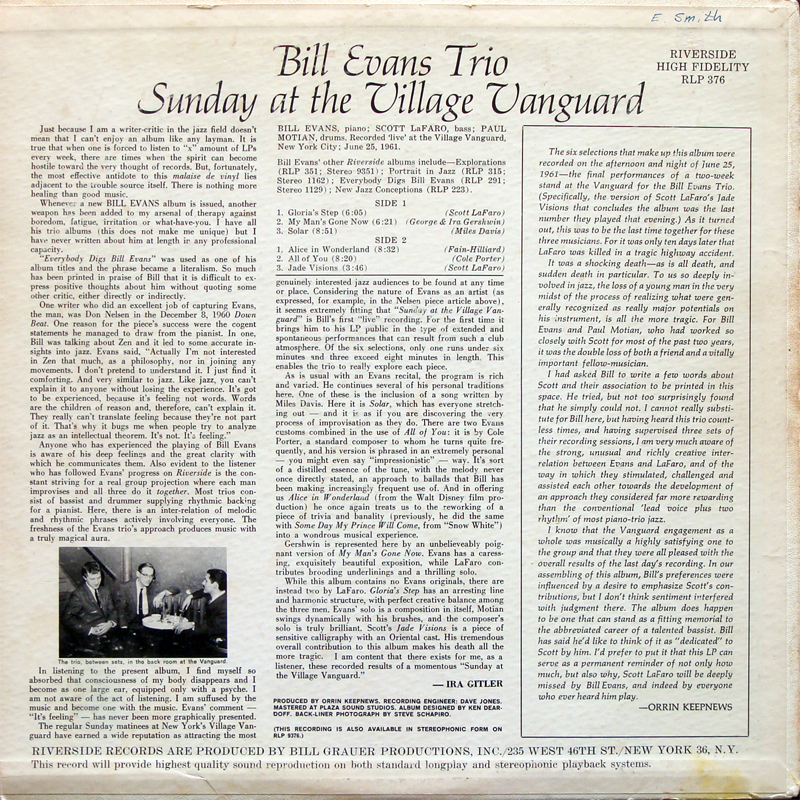 Regarding the live sessions recorded at the Village Vanguard, he recalls a plan for the trio to do twelve numbers, including “a lot of extra material,” with the aim of reducing the recordings of “two full shots at the band” (afternoon and evening sets) to a “six tune album.” The 22 musical tracks of the 26 tracks on the complete sessions album include 13 titles, with three versions of two titles, five numbers performed twice, and six performed just once. With hindsight, Keepnews seems bemused at his youthful recklessness as he recognizes that, while at the time he believed it prudent to record them again* before the band fell apart, he must not have had a great sense of urgency, since he decided — “I mean, talk about living dangerously” — to record on the final Sunday of a three week gig at the Vanguard. Sunday was chosen because the band would perform twice on that day, a matinee set and an evening set. * Orrin Keepnews had previously produced the sessions for the two studio albums recorded by this trio, the first Bill Evans Trio. These were Portrait in Jazz, released in 1960, and Explorations, released in February 1961. He had also produced or co-produced three earlier Evans studio albums (1956-1959).